Sounds awesome. They hope to open in January. December 2008, during a hard recession in the US economy, a thing most people thought couldn’t be done was born. While sitting in a house in Ashburn, Virginia, Bryan and Melissa Crosswhite finally stated the obvious; Cajun food is what the world needs to experience. With a few hundred dollars in the bank, and Bryan on unemployment, the couple took on a challange. They decided to test the market to see if people would want this great food which the Crosswhites loved and charished. Melissa cooked the dishes and Bryan took off with a marketing plan. The plan was to contact 3 major companies in the area and offer them a free lunch as long as they gave us feedback on the food. The response was overwhelming and people began to ask where they could get such food. Five months into the business, The Cajun Experience was featured in The Washingtonian magazine in “Best Bites”, and less than a year later, June, 2010, was named one of the “Top 100 Best Bargain Restaurants” by The Washingtonian. 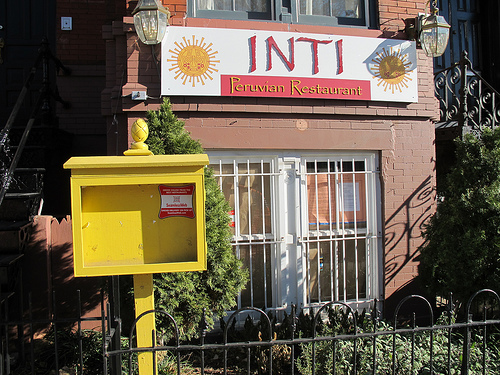 The restaurant has also been featured in The Washington Post and The Washington Business Journal. In October, 2010, a second location was established in Purcellville, VA, and The Cajun Experience is currently seeking locations in the DC metro area. I’ll be sure to update when they open up. Anyone ever check out either of their Virginia locations? And don’t forget Hot N Juicy Crawfish is also coming soon to Woodley Park.